SKU: 4. Categories: Stud Earrings, Music Jewelry. Tags: acrylic, earrings, engraved, geekery jewelry, inspiring jewelry, mirror, Music, Red Hot Chili Peppers, silver, stud earrings. 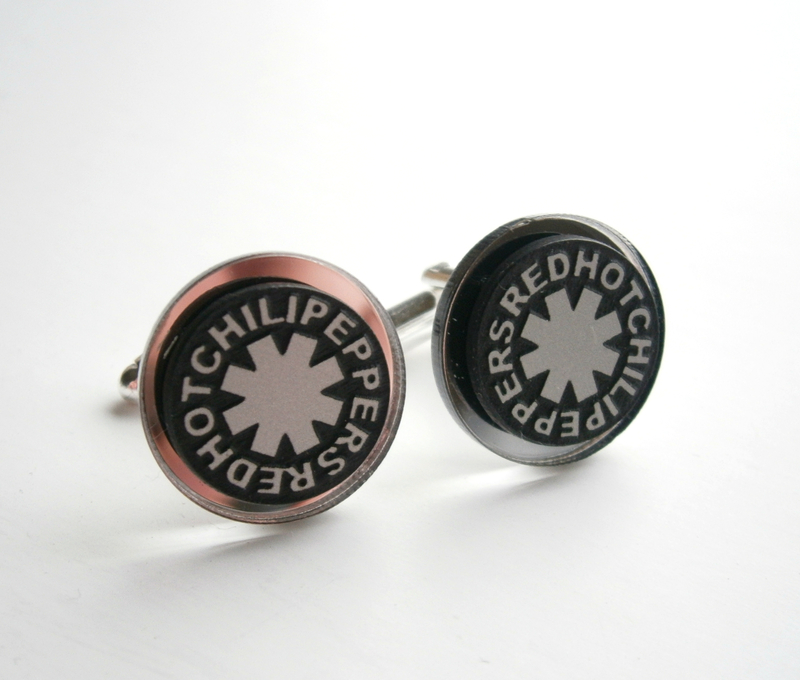 Red Hot Chili Peppers Stud Earrings are lasercut from black and silver plastic, glued to mirror background.